Congratulations to the Track & Field Team! The boys placed first, and the girls placed second in yesterday’s Jeffco Qualifier! Arvada West won the combined boys and girls meet. Way to go Cats! 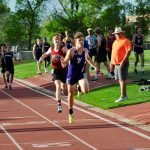 Coed Varsity Cross Country, Coed Varsity Track · Jan 16 Arvada West Track Alum Josh Campbell Breaks UNC School Record! Congratulations to Arvada West Alum Josh Campbell (Class of 2016). 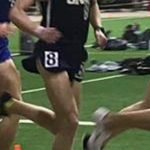 Josh, a junior at University of Northern Colorado, broke the school’s record in the 3,000 meter run on Saturday at the Potts Invitational at University of Colorado. Josh finished 3rd in a time of 8:37. Way to go Josh! 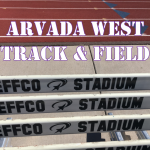 Interested in joining the Arvada West Track & Field Team? Join us for an Athlete informational meeting on Thursday, January 17, at 3:10 p.m. in the Commons at Arvada West. Meet the coaches and learn about the team. We hope you will join us! 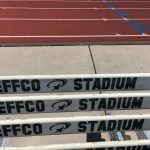 Find more information on our Track & Field website at https://sites.google.com/a/jeffcoschools.us/aw-track/home. 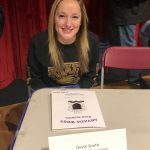 Coed Varsity Track, Girls Varsity Cross Country · Jun 4 Arvada West Track Alum Savannah Wiman Breaks Vassar School Record! 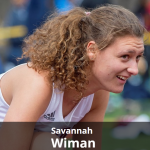 Savannah Wiman (Class of 2014), a senior at Vassar College, ran the best race of her college career in the 1500 meter run. She ran a 4:38.16 to break the women’s school record. Way to go Savannah! We are so proud of you! 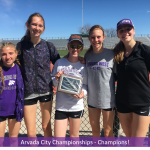 Coed Varsity Track · Mar 17 Arvada City Track & Field Championships – Girls Take First! Congratulations to the track team! At today’s Arvada City Track & Field Championships, the girls placed first and the boys placed second! 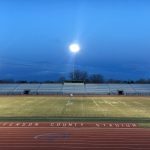 For complete results, go to http://co.milesplit.com/results. Way to go Cats!